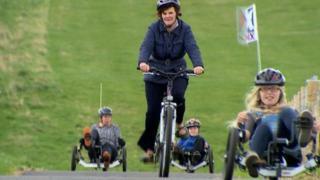 BBC Get Inspired visited the Highland Cycle Ability Centre. The facility in Cantray, near Inverness, opened in May 2013 and aims to give everyone a safe and enjoyable place to come and ride a bicycle. For more information about cycling have a look at Get Inspired's dedicated page on the sport.